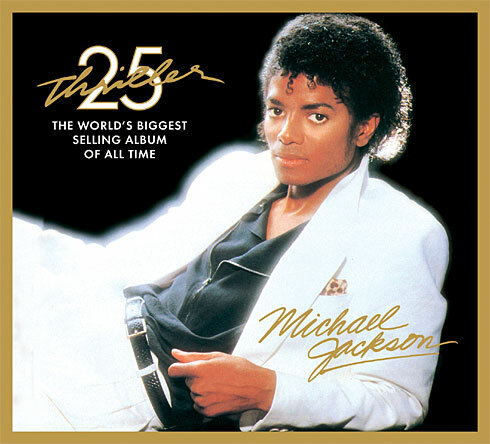 Michael Jackson released his 25th Anniversay THRILLER Album featuring today's new artist: Fergie, Kanye West and Akon. THRILLER was the world's biggest selling album of all time! Don't forget to get your anniversary CD. Click here for Michael Jackson Exclusives and here to see the Thriller Teaser Video. 说�?Michael jackson was an pohaeminnl artist and the Best dancer in the world , no one will be able to come even close to what he had achieved in his Life . Every Song of MJ is My Favourite Song. I Love You forever .He was the best . His music is so pure that i feels like i am in complete different world , infact i am listening to his music right now while writing this . Now (you are not alone ) Song is going on , i wish just for once in a life time i would have met him , I just can't stop loving you Rest in Peace MJ .